Manitoba offers international students the opportunity to access world-class education with affordable tuition fees. Higher education in Manitoba is heavily concentrated in the provincial capital and largest city, Winnipeg, where more than half the population of Manitoba resides. Graduating from a Manitoba educational institution provides individuals with an internationally recognized degree, diploma, or certificate and the opportunity to work and immigrate after graduation. Got a question about studying in Manitoba? 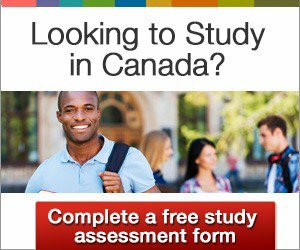 Our comprehensive Studying in Manitoba FAQ page has the answers. If your question is not included, please contact us today and submit your question. In addition to having some of the most affordable tuition and living costs in the country, Manitoba offers a 60% tax rebate on certain post-secondary fees to individuals who work in the province after graduation. Manitoba offers one of the best insurance programs in the country, including free medical coverage for temporary residents (students and their spouses) after six months of full-time study. Individuals studying in Manitoba on a study permit with dependent children may, under certain conditions, receive subsidized public school education for their children. This may result in a saving of over $10,000 in international fees. The government of Manitoba has projected that a total of 177,800 new job openings will be created in the province between 2015 and 2021, with the unemployment rate expected to decline from 5.5% to 4.9% over the same period. Personal incomes are also expected to increase by an average of 4.6% annually. Manitoba’s low cost of living allows residents to live better for less, with housing costs among the lowest in Canada. Under the Skilled Workers in Manitoba category of the MPNP, applications are accepted from qualified temporary foreign workers and international student graduates who are currently working in Manitoba and have been offered a permanent job with their Manitoba employer. Combined with the positive labour market forecast, this makes studying in Manitoba an attractive long-term option for individuals who wish to make Canada their permanent home. Candidates for immigration to Canada through the federal Express Entry immigration selection system who have completed their education at a school in Manitoba may be awarded a significant number of points on account of their high level of education. Moreover, international graduates of Canadian educational institutions may have obtained important Canadian work experience, another highly valued factor under the Express Entry system. These institutions are featured due to their size, proximity to urban centres, and tradition for enrolling international students into their student bodies. Learn more about each school by clicking their titles below, which will take you to the relevant page on School Search. 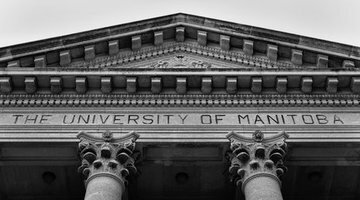 The University of Manitoba has been ranked number one in Canada for its outstanding student services, and is renowned for enabling international students. The U of M is internationally recognized as an innovator in research and technology. Maclean's magazine recognizes the University of Winnipeg as one the top Canadian undergraduate schools for student satisfaction, with much of this owed to an incredible array of state-of-the-art facilities and student services. Select Schools are those that CanadaVisa has assessed for quality, value, and competency with international students. These schools are accredited by Colleges and Institutes Canada (formerly the Association of Community Colleges of Canada) or are chosen because of proven pathway programs and exemplary student services. The Ontario Immigrant Nominee Program issued invitations to 22 entrepreneur candidates in the second invitation round of 2019 held April 5.
International students applying for a Post-Graduation Work Permit will now have six months to apply once they obtain their final marks and will no longer require a valid study permit.